PROTEM, SERCO’s partner has always succeeded in innovation and today it offers a wide range of portable machine-tools specially designed for boilermakers. Initially, PROTEM was created to meet the requirements of boilermakers . Since then 40 years have gone by, but the company has always continued to innovate and today it offers a wide range of portable machine-tools specially designed for boilermakers. 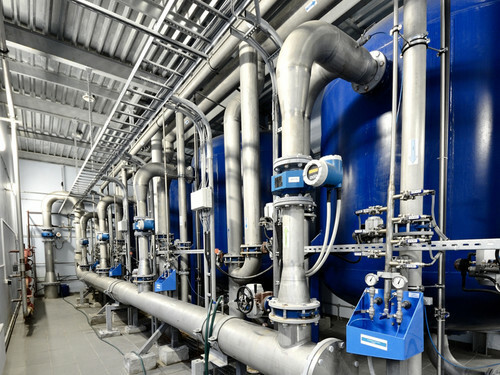 For example, maintenance work on heat exchangers or for servicing industrial boilers. PROTEM designs and builds special machine-tools for these applications. For example, the GR machine series was specially designed for simultaneously beveling tubes and grinding vanes on boiler panels. The body of the machine is specially shaped so that it can be inserted into the slots on boiler panels. Another example is the PROTEM US25 TP machine-tool, which is for machining all types of bevels, brazing tubes and removing welding on tube sheets. Lightweight, automatic, portable, easy and practical to use, these high-precision machines will increase your productivity significantly no matter what job needs to be done.